Irrfan Khan has been signed by Mira Nair to star opposite Hollywood star Natalie Portman . The film is titled Kosher Vegetarian, and is directed by Mira Nair. The movie is about a love story between a Gujarati guy (Irrfan Khan) and a Jewish girl (Natalie Portman). Just recently Irrfan won the Filmfare Best Supporting Actor award for his performance in Anurag Basu's Life...In a Metro (2007) . During which time Irrfan was at the Spirit Awards being held in California, USA, were he was nominated for Best Supporting Actor for his role in Mira Nair's The Namesake (2007) . Today was the nights of the results on American Idol and 2 male and 2 female contestants were going to be voted off. From the previous 2 nights of singing, alteast four contestants were going to make to to the next round and their was not any disappointments there. The following four were not going to the next round, Jason Yeager, Robbie Carrico, Alexandrea Lushington, and Alaina Whitaker. Today it was the females turn to sing their best song from the 70s. Only Carly Smithson, Brooke White, and Kristy Lee Cook made an impression with their signing. Now let's see who will get voted off by the public in tomorrows edition of American Idol Season 7 . Ranbir Kapoor and Deepika Padukone a couple? It has been reported that during the 53rd Fair One Filmfare awards function while waiting for their turn to appear on stage, Ranbir Kapoor and Deepika Padukone exchanged some 'I Love You's which has been picked up my the media as an announcement of their relationship beyond freinds. Since just recently Deepika was connected to such talk with cricketer Yuvraj Singh . What are your thoughts on the new Bollywood pair? Kareena Kapoor recently shot some breath taking photos for the Indian version of Vogue, on which she will be on the cover of for the March 2008 edition. Today it was the males turn to sing their best song from the 70s. Only David Archuleta and David Hernandez made an impression with their signing, all the other were left in the dust. Now let's see what the ladies have will offer up on tomorrow editions of American Idol . Before Jodaa Akbar was released there had been a lot of protest by the Rajput community on the events showen in the movie with what actually took place in history, which still seems to be an issue after the release of the movie. A lot of cinema halls all over the world did not show the movie and now the movie has been banned in Madhya Pradesh by the Madhya Pradesh government. The movie stars Hrithik Roshan and Aishwarya Rai Bachchan . There was also news that Nitin Chandrakant Desai owner of the N.D. Studio would open his studios to the public to allow them to view the sets that were created for Jodha Akbar (2008) . Today, during the first elimination round of American Idol Season 7 , two male and two female contestants were voted off. The four voted off were Joanne Borgella, Amy Jean Davis, Colton Berry and Garrett Haley. If you remember, Joanne and Colton were the last ones to be picked for the final 24 in the previous round. Hrithik Roshan has been receiving some great compliments from his colleagues within Bollywood. First it was his father Rakesh Roshan and then Amitabh Bachchan. Amitabh was very impressed with his performance overall in Jodha Akbar (2008) , notably for his dance during the qawwalli Khwaja mere khwaja. Rozza Catalano , Saif Ali Khan's ex-girlfriend, is all set to appear in Bollywood films. She will me in Samar Khan's Shaurya (2008) for an item number and then will have a lead role in Partho Ghosh's Ek Second Jo Zindagi Badal De. Sony Wins The DVD war? Has Sony finally won the much known DVD war? Today, Toshiba announced that it is dropping the high-definition DVD battle and hence will stop production of its HD DVD players and recorders. And this may signal a victory for Sony's Blu-ray format. Recently Warner Bros', WalMart, UK retailer Woolworths US chain Best Buy, and US online retailer Netflix have backed Sony's Blu-ray format and hence could have forced Toshiba into it's decision. Blu-ray’s was backed by Sony and Philips while HD DVD was baked by Toshiba and Hitachi. This may be good news for consumers in that they have only one format to choose from, but it will also make consumers that bought the HD DVD players anger, since they will have less choice of films to watch on their player. What do you think? Walt Disney Company (Southeast Asia) Pte Ltd. (TWDC), a subsidiary of The Walt Disney Company, has announced intention to invest into UTV Software Communications Ltd. (UTV) and UTV Global Broadcasting Ltd. (UGBL). UGBL is the parent company for its two wholly owned subsidiaries, Genx Entertainment and UTV Entertainment Television Ltd.
India beat Sri Lanka to win the match by 2 wickets in the 49th over to keep their hope alive for a berth in the final. Sri Lanka had a rocky start but a 153 run third wicket partnership between Mahela Jayawardene and Kumar Sangakkara helped Sri Lanka post a competitive 238 for 6. Sachin Tendulkar was out for 0 in the 2nd over but India pulled together and came out ahead with a 76 off 70 balls by Yuvraj Singh and 50 not out by Mahendra Singh Dhoni . All the Indian cricketers, contracted to the Cricket Board have signed into the Indian Premier League (IPL), which is promoted by the BCCI (Board of Control for Cricket in India). The IPL is set to begin play on April 18 at Bangalore and has scheduled for 59 match event including two semi finals and a grand final. Sania Mirza will mark her start in the Qatar Open on Monday Feb 18 against Belarusian Olga Govortsova. If she wins her first round match she will then have to face the Ana Ivanovic , world's no 2 and Australian Open runner up. Other tennis stars taking part in the Qatar Open include Maria Sharapova , Svetlana Kuznetsova, Jelena Jankovic, Nadia Petrova, and Venus Williams . Movie Synopsis: Jodhaa Akbar is a love story between the Mughal emperor, Akbar (Hrithik Roshan), and a Rajput princess, Jodhaa (Aishwarya Rai Bachchan) during the sixteenth century. With great power and balance of strenght and wit, Emperor Akbar soon extended his empire to extend from Afghanistan to the Bay of Bengal, and from the Himalayas to the Godavari River. And on the way made friends with the Rajputs, the most belligerent Hindus. But unware of the storm that was going to be brought into his life when he married Jodhaa, Rajput princess. Which started Akbar on the new adventure of his life, the adventure of true love. Movie Review: Another great film from Ashutosh, following his previous successful movies like Swades and Lagaan. This is Ashutosh's biggest film so far with a strong star cast, a well written screenplay and great music by the master musician AR Rahman. The movie contains many great scene and interactions between the protagonist couple. Both Hrithik and Aishwarya are perfect for the role Akbar and Jodhaa respectively. This may be the most Some memorable scenes includes the sword fight between the couple, when Akbar catches Jodhaa sight transfixed on his bare torso, then when the emperor tames a wild elephant, one-on-one combat scene in the climax. The film also have been very well shoot by cinematographer Kiran Deohans, which can be seeing in the battle scenes and the visualization of the songs Khwaja mere khwaja and Azeem-o-shaan-shahenshah. There have reports that the movie is not true to history, but if you go and see the movie for a Bollywood love story, then you will be pleasantly surprised. A must see movie for 2008. It's a big budget movie and the elaborate sets, locations and customs’ shows were the money was spent. The movie may be a little long for the current times, but it's a movie that is enjoyable and a worth watch. Air India today launched the first non stop flight from Delhi to New York over the North Pole. Air India is using the newly developed 238 seater aircraft Boeing 777-200 Longer Range aircraft which is configured with 8 seats in first class, 35 seats in executive class and 195 seats in economy class with fully flat beds in the First and Executive Classes. Since Sania Mirza has decided not to participate in the Bangalore Open its up to Prerna Maitreyi , another young Hyderabadi to fill the shoe of Sania. Prerna, a 17 year old, is currently ranked 678 on the WTA rankings and hope to do well at the Bangalore Open. She won her first major title at the Hyderabad Open in 2005. AskMen.com has released the list of Top99Women of 2008. The list includes a lot of celebrities from the previous years plus bring some new faces into the list. The number one this year is taken up by Grey's Anatomy star Katherine Heigl , followed by super model Alessandra Ambrosio in number 2, Kate Beckinsale in spot 3. Indian movie star Aishwarya Rai Bachchan was at number 27. Sania Mirza has decided to not to play in the 600,000 Dollar WTA Tier II Bangalore Open which is scheduled to start in March. The reason giving my the Indian tennis star is the petty controversies which have been filled against her. This will also include future matches within India in the near term. 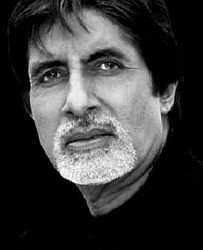 Amitabh Bachchan was compelled to come back to his home in Mumbai after following reports of attack on his house, Prateeksha in Juhu. Amitabh was busy on his shooting schedule for Shoe Bite being directed by Sujit Sircar in the Himachal Pradesh capital. Police may be investigating if this is related to MNS chief Raj Thackeray's attack on the superstar for preferring Uttar Pradesh over Maharashtra for opening a girls' college.